1 Fans were shocked to find out that Linkin Park singer Chester Bennington was reported dead on Thursday, 9 a.m. PST. According to TMZ, he committed suicide by hanging. 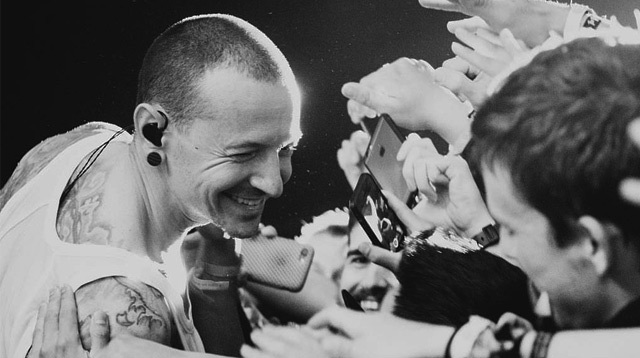 According to reports, Chester had long been fighting thoughts of suicide because of experiences of abuse by an older male when he was younger. He was also deeply affected when his close friend and Soundgarden frontman Chris Cornell took his own life last May 18. He hanged himself on the day that would have been Chris' 53rd birthday. 2 Last night, at the 40th Gawad Urian Awards, Paolo Ballesteros received the Best Actor Award for his role as a trans woman in the movie Die Beautiful. What struck us the most was the fact that the actor graced the event looking like Kim Kardashian! 3 Anne Curtis' obsession with K-Dramas is no secret. Her IG feed and stories are filled with them, and she even once posted a photo that proudly says that she's 'kinain na ng sistema'—a term used to described someone who's been consumed by Korean shows. When asked by an ABS-CBN news reporter if she was open to dubbing Korean teleseryes, the actress quickly responded, "Why not?! Gusto ko yan!" 4 T.O.P. of Big Bang just received a 10-month suspended jail sentence for admitting to drug use. He told the judge that he used marijuana on four occasions last year at his home. 5 It's Christmas time for lippie addicts! SM Beauty is holding their 3rd Annual Lipstick Festival across all stores nationwide starting July 29, aka International Lipstick Day. Discounts and freebies await shoppers who'll flock the beauty aisles of participating brands like Ever Bilena, BYS, Revlon, Burt's Bees, Happy Skin, Shisheido, and Clio, to name a few. This celebration runs until August 23, 2017.